How quickly would you like your board shipped. See Shipping in the menu for more info. 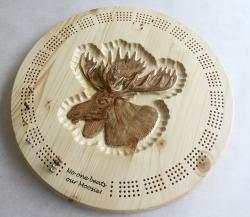 This impressive pine cribbage board is 15 inches in diameter and over an inch thick. It has a pocket on the back with a sliding brass plate to store the eight metal pegs provided. It is designed to hang on the wall when not in use and comes with a hanging hole pre-drilled at the top of the back of the board. 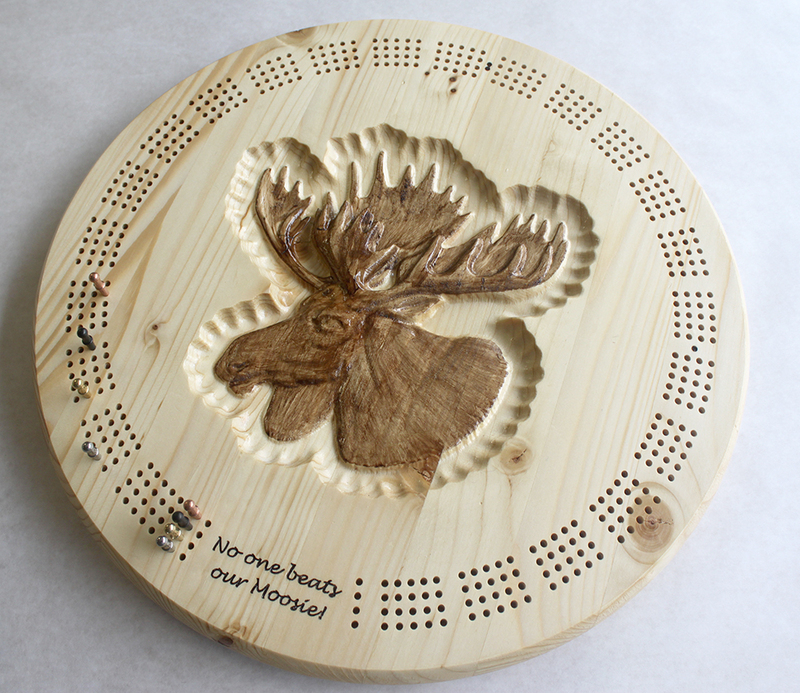 The board face features a large moose head carved in 3d. 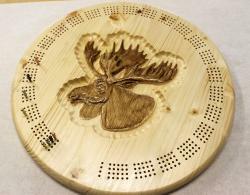 The image is carved into the surface of the wood, then toned with a water-based deep brown glaze. The board is finished with layers of shellac to protect it. It is also one of the simplest boards to play - one trip around to the end, no laps needed! Great for 2, 3 or 4 players. Please contact us for a mock-up and price.